Kent Relocation Services is proud to be exhibiting at the 2016 FEM Global Mobility Conference on Wednesday, 20 July. This mobility event is set to bring over 200 top industry professionals to Melbourne to network, discuss and discover new opportunities within global mobility and expatriate management. With an exciting agenda and keynote speeches from some of the mobility industry’s leading experts, the range of topics that will be covered includes using mobility for business advantage, managing risks associated with an international workforce, and dealing with immigration and compliance issues. The FEM Mobility Conference seeks to balance strategic and operational discussions, helping attendees to spark new ideas in an interactive format. This global mobility conference will give attendees the opportunity to learn more about Kent’s range of global mobility and relocation services, all of which are designed to ensure a stress-free transition for employees and their HR Managers. 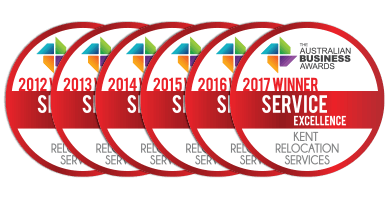 As the largest, tier one Australian headquartered global mobility and relocation company, we are 100% committed to the success of your relocation program. That is why we are the only corporate relocation service provider to guarantee it. 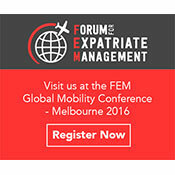 The FEM Global Mobility Event is a great chance to learn exactly what we have to offer. We look forward to seeing you at the FEM Global Mobility Conference.